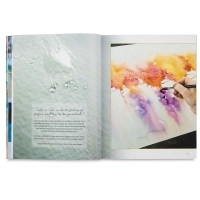 Wipe away your worries with the soothing, gentle strokes of watercolor paint. Let artist Jean Haines show you how to Paint Yourself Calm . 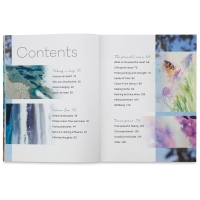 This lovely book explores the many therapeutic benefits of watercolor painting — it can help you overcome anxiety, soothe a stressed mind, and take control of your life. 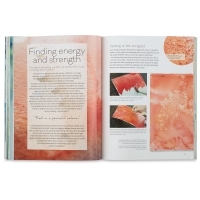 Haines assures artists of all skill levels that it's not what you paint but how you paint, with no judgment or goal beyond moving a brush on paper. 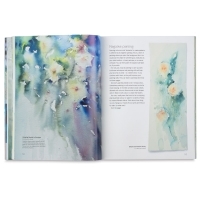 Relax without the pressure of performance and enjoy the meditative, calming effect of watercolor. 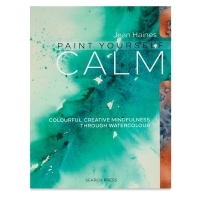 Escape from daily stresses and find peace through painting with Jean Haines' Paint Yourself Calm .